We cue all levels and travel all over the world to cue round dances. 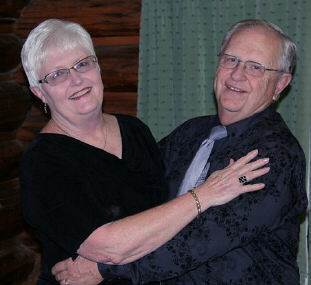 We have been teaching and cueing for 36 years and dancing for 38. We have lived in Michigan and Texas and taught there. We have held round dance teachers schools in Texas. We belong to The International Round Dance Teachers Association (Roundalab) and on the BODs and Executive Committee & Marketing Director, The International Choreographed Ballroom Dance Association (ICBDA) and VP plus Marketing Director. We cue for the Mountain Mixers Square DAnce Club, have our own round dance club, Dream-A-Rounds in addition to holding classes each Winter and some in the Summer. Round Dancing - The Best Kept Secret in the Dance World! !